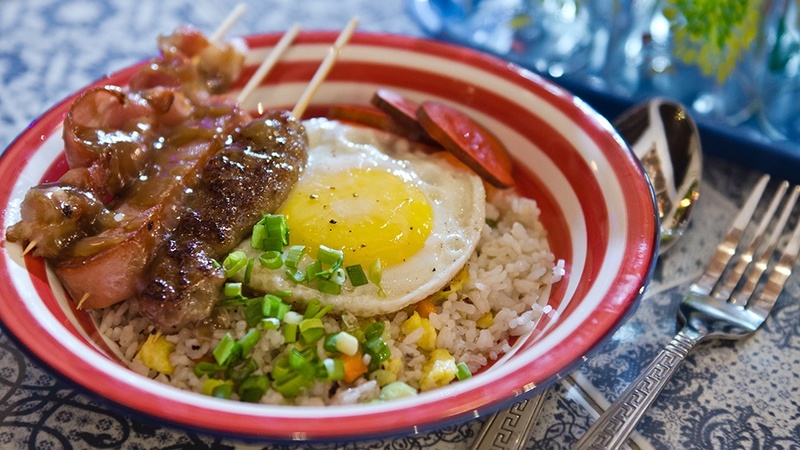 Wokby4900 puts together a roster of Asian-inspired rice bowls and then some. Sometimes, the most obvious option is also the last that comes to mind. 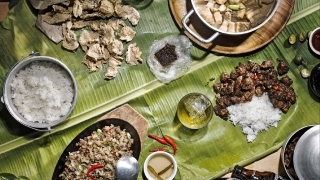 The thriving food scene in Poblacion, Makati showcases everything from Kansas-style ribs to single origin flat whites to Cuban sandwiches. 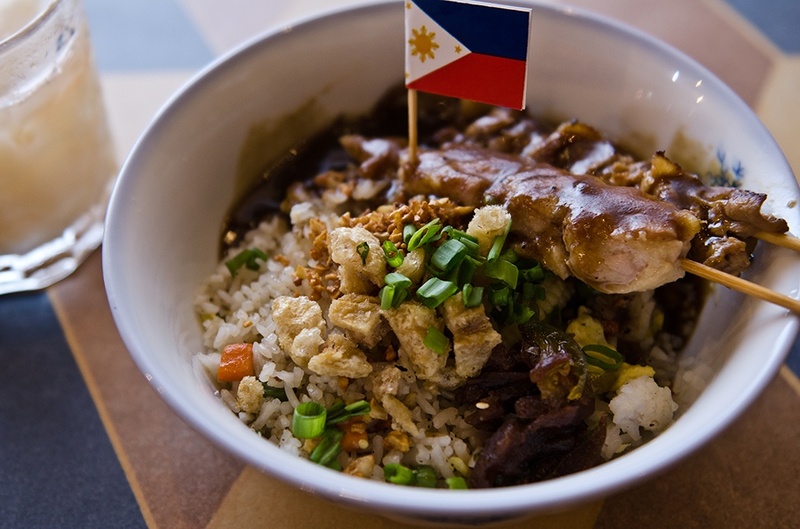 Curiously, it wasn't until recently that Jean-Paul and Trish Cheung and Kian Kazemi came together and opened Wokby4900 to represent Asian comfort food as we know it—in hearty rice and noodle bowls, topped or accompanied by deep-fried or grilled meats. 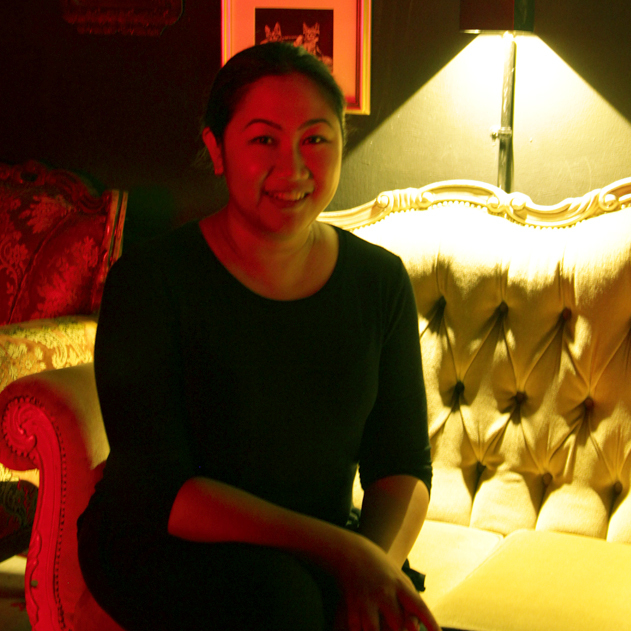 The spot stands next to Kazemi's Lobo Filipino Tavern and joins a row of converted two-storey apartments. (When the "For Rent" sign was hung outside, Kazemi immediately alerted the Cheungs: "you have to move fast," he warned) Its vibe is casual, filled with knickknacks and salvaged wood, which gives the place it's urban yet tropical feel. Upstairs, the rooms have been upcycled into meeting rooms, keeping in tandem with Paseo 59C's—owned by the Cheungs—co-workspace tangent. The 2nd floor extends to a terrace where guests can fully utilize the (hopefully) breezy tropical weather. 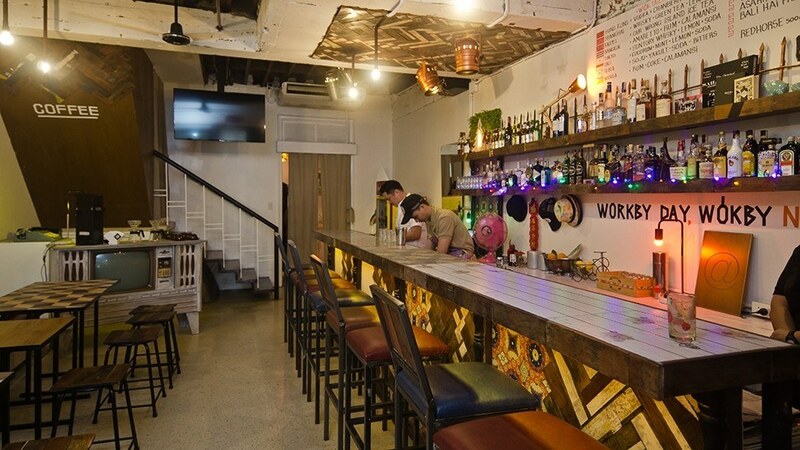 What once was a garage is now a casual al fresco dining area and their open kitchen where the wok splashes and sizzles with Wokby's versions of stir-fry. The concept stems from, surprisingly, their travels in Europe. 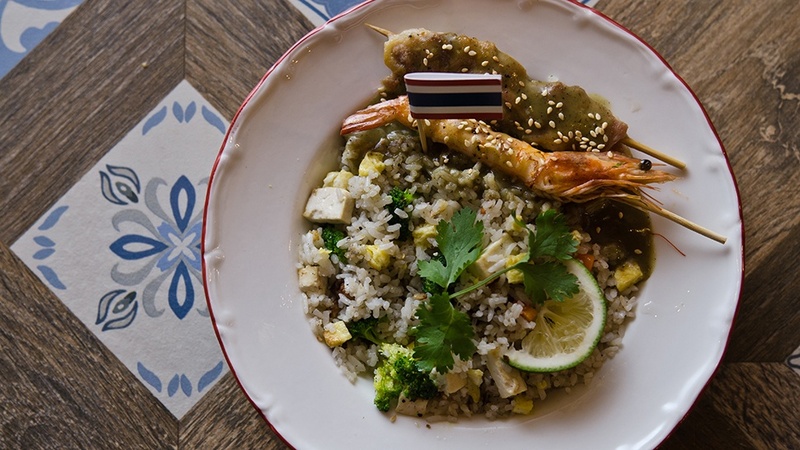 "We would see (Netherlands-based food chain) Wok to Walk all over the place, and we really loved it," shared Jean-Paul. "You know naman us Pinoys, we like to try new things. But, after a while we start looking for rice." 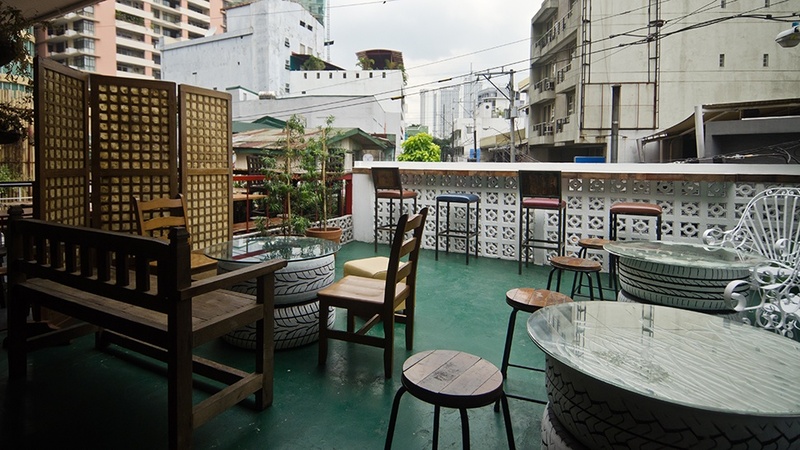 In the densely populated tourist area of Poblacion, Wokby4900 not only offers authentic Asian food but something most European travelers are familiar with having already been introduced to the concept back home. Aside from the approachable grub, the establishment will be open for lunch- a rarity in the gentrified red light district—to service the local working stiffs who have begun to look to the area for quick meals. 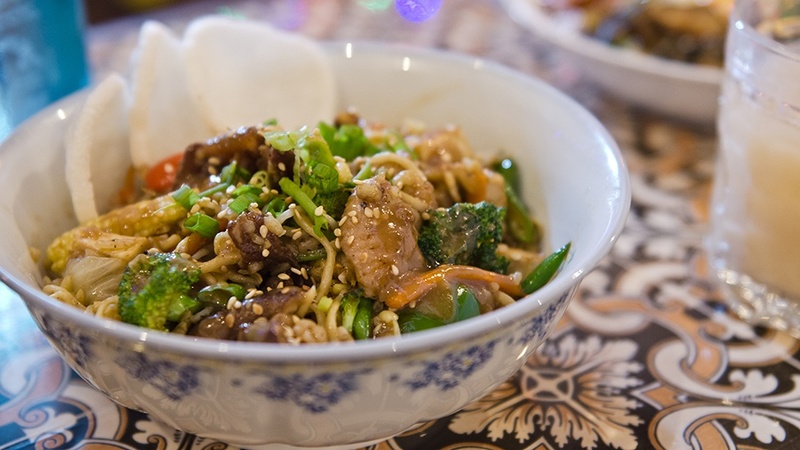 And what could possibly be quicker than stir-fry? 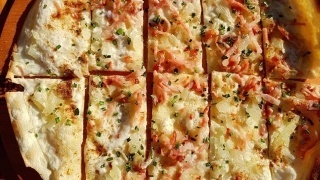 There are no rules as to which dishes can be had at certain times of the day. 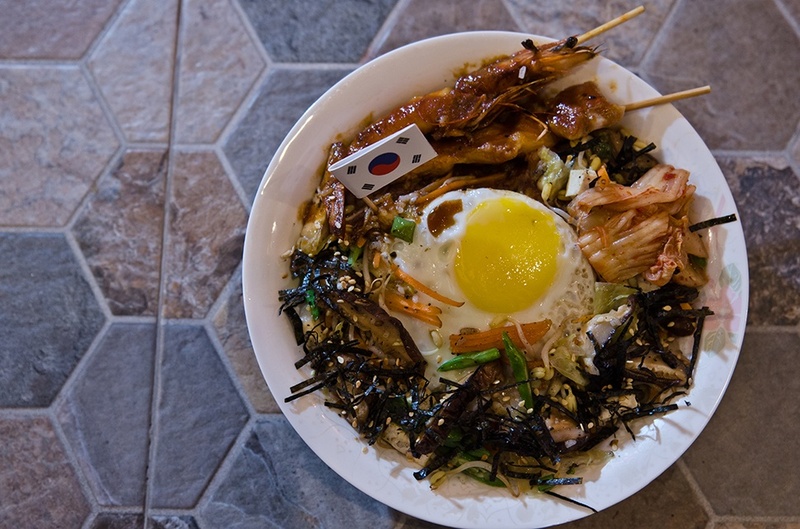 The Korea bowl (their version of bibimbap) is just as much a brunch option as the Breakfast of Champions, a mound of fried rice, runny egg, and sticks of local wiener, bacon, and pork barbecue. As you would expect from this sort of homey cuisine, the menu draws inspiration from nostalgic favorites. Trish insisted that their Mongolian bowl be similar to the one at Bob's, the iconic Bacolod restaurant. Growing up, she favored their mishmash of chicken, broccoli, peppers, rice, and noodles, in a thick, sweetish sauce, along with Bob's sate. 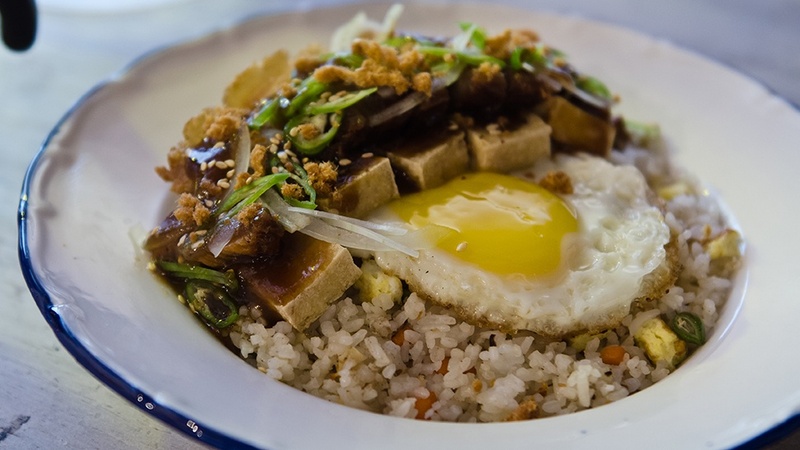 Jean-Paul's love for tokwa't baboy led to the creation of their Tofu and Crispy Pork bowl, fried rice topped with fried slabs of tofu and pork belly, garnished with scallions, bonito flakes, and a thick vinegar-based sauce. If you're looking for more tang, dousing the toppings with more spiced vinegar should do the trick. 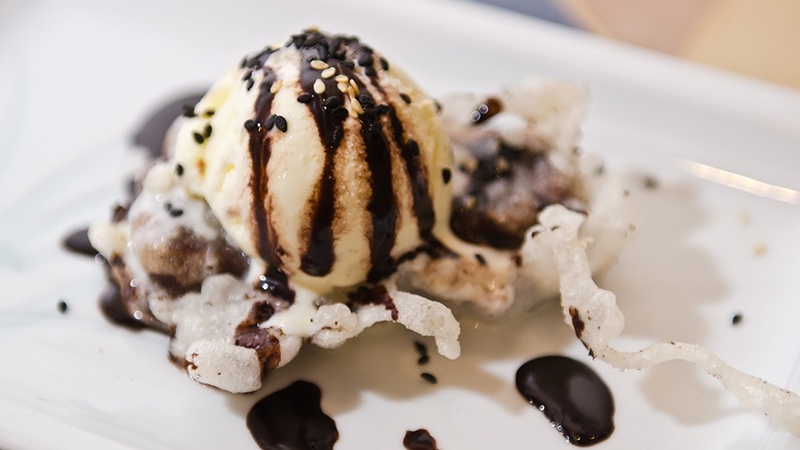 Their menu continues to grow as the husband and wife team develops more dishes. 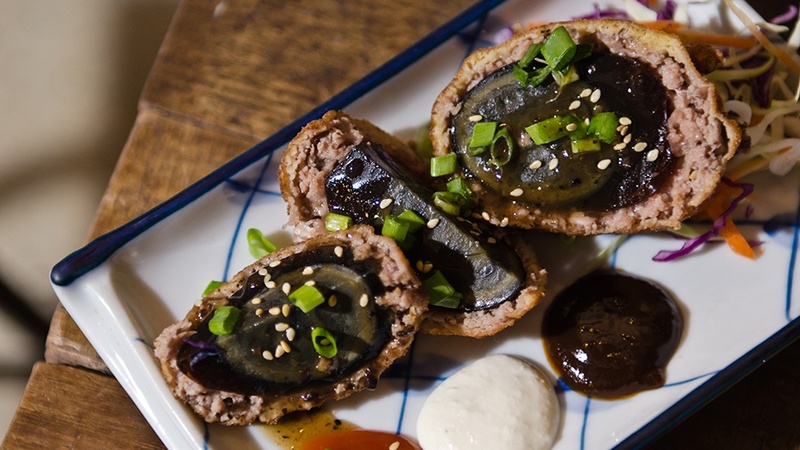 Trish made us try the century scotch eggs, which is exactly that—century eggs wrapped in spiced burger meat ("it's the same one we serve at 59C," Jean-Paul chuckles), breaded, and fried, then served with a trio of Asian sauces. The dish will pair wonderfully with the cocktails they serve all day. Bars are a dime a dozen in the area, but Wokby's might just have the most expansive selection of liquors and spirits. "Even our restauranteur friends in the area tell us that," Jean-Paul shares. They have cocktails that represent some Asian cities, the Seoul—a soju-based drink mixed with Yakult—is an early favorite. Stiffer pours like bourbon, Japanese whiskey, and gin abound, and these are premium stuff. Do not be misled by the casual food menu—the bar list rivals any of the posher Makati CBD establishments. The best part is that the menu works as an effective hangover cure as well. Then you can start your meal all over again. 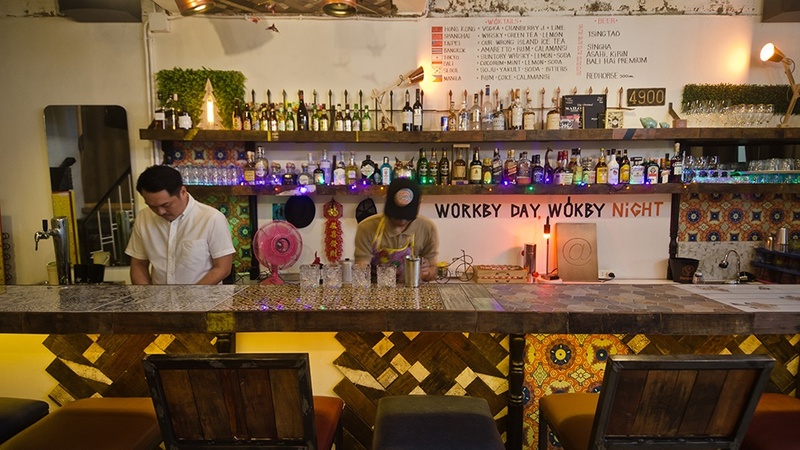 Wokby4900 is at Durban Street, Poblacion, Makati City.